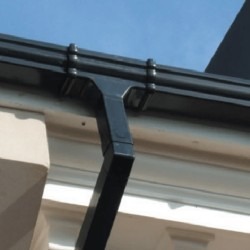 Caramel Ogee Gutter is an unusual and quirky type of guttering. 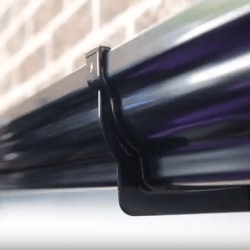 It was first introduced in the 1990's when PVC Window Manufacturers diversified into PVC Fascias, bringing woodgrain style PVC fascia to the masses. 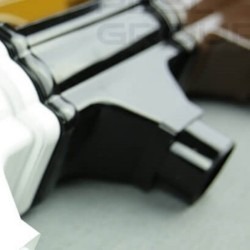 Caramel gutter is a really good match for Golden Oak woodgrain fascia and it looks outstanding on a conservatory with this type of finish.